Kubo and The Two Strings is not your usual stop-motion animation, but one that also incorporates the use of CG and other digital effects, resulting in really amazing scenes. While the kiddos marvelled at the pieces of origami paper coming to life under Kubo’s magic, I cannot help but think about the tremendous amount of work it took to produce this 103min long movie. I know better, because I did simple stop-motion before and it was backbreaking even for just a few seconds clip. Throughout the show, I was actively looking beyond the main characters, and watched intently at the animations of the background characters and set, and I must tell you that the attention to details was incredible. Maybe you would like to check out the following video on the behind-the-scenes making of the movie. 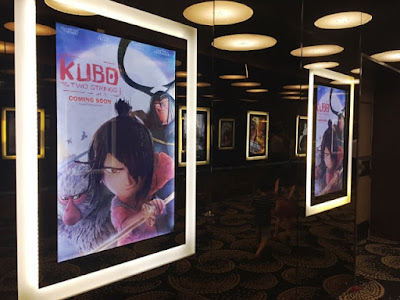 I always find it hard to write a movie review, because I am so afraid of upsetting people with spoilers, and of course I am also no movie analyst or philosopher too but I really loved Kubo. I loved the way the story actually unfolded, and how the many questions in my mind from the very start kept me looking forward to the revealing of the answers. The movie felt so short in the end! 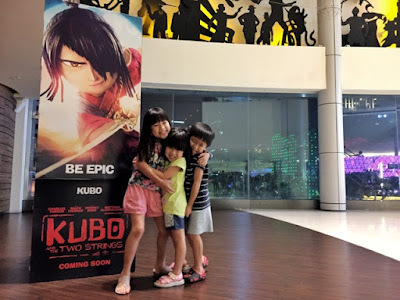 Questions like how did Kubo’s father perish, why he lost his eye and why the mother acted the way she did etc… I was totally immersed in the movie, and so were the 3 older kiddos. So much so that when the “evil” sisters first appeared and went after Kubo, my two daughters got scared and hugged me real tight. No “cartoons’ had even done that to them, it was THAT REAL for them. Louie has better uses for the "eyes", other than using them as pens. There were many, and I really mean a lot of funny jokes peppered throughout the entire movie which really lightened up the mood in this otherwise dark story. Just like how the elderly villager mentioned to Kubo, that adding a fire-breathing chicken in his stable of monster used in his storytelling, added comedy and balanced out everything. The scene of Kubo taking care of his mother tugged at my heartstrings for sure, and I really felt for him. I cannot imagine how fast he was made to grow up given his circumstances. Look out for the many exciting scenes too, such as the one involving the 18 foot tall “The Hollow Bones”, which happened to be the largest stop motion animation character in the history of cinema. One thing I would really have preferred, would be a different way the fates of Kubo’s parents played out. Having to get over the death of Kubo’s mom and dad was bad enough for me and the kiddos, but to have to do that TWICE? Then of course I also cannot reconcile the fact that Kubo was SO EASILY discovered by the bad guys, I mean girls, just by being out of their cave after sunset. I try to reason that maybe all it needed was for the moonlight to shine onto him, since the big bad guy was really his grandfather, the Moon King but then still, Kubo should have been discovered long ago. This movie definitely gets a thumbs up from me and the kiddos. 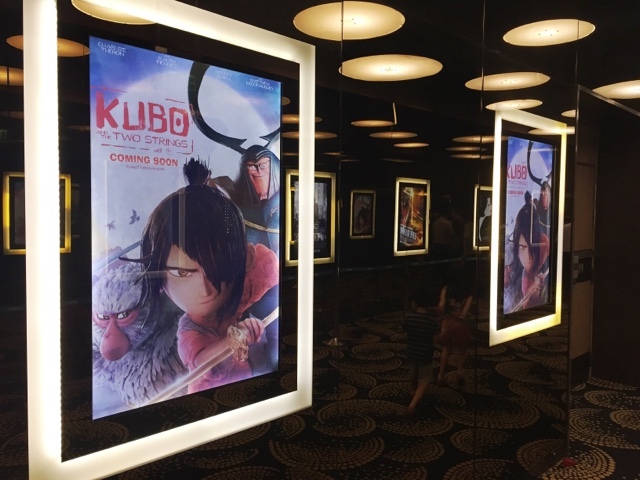 Go catch it in 3D if possible, the movie starts showing from Thu, 08 Sept 2016! 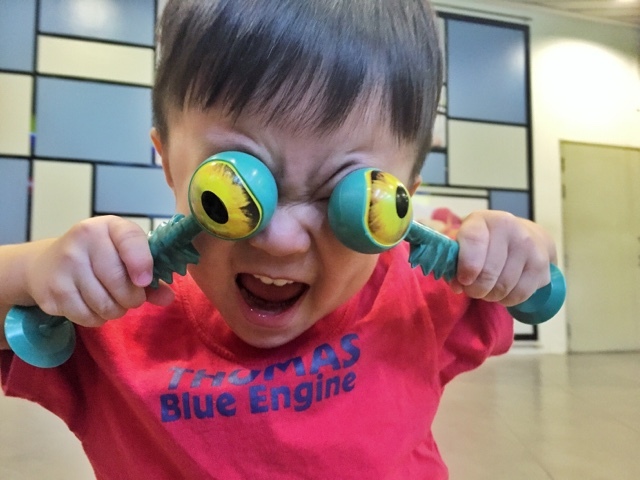 Be prepared to laugh, get scared, shed a little tear even and of course to love! 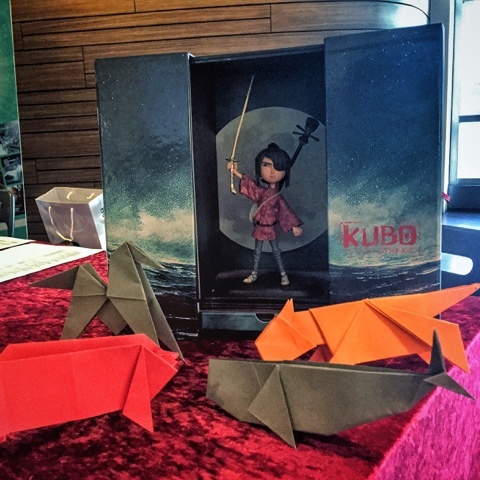 Thank you UIP Singapore for the invite and just so you know, get to win a very limited Kubo and The Two Strings exclusive collectible figurine by checking out this post!